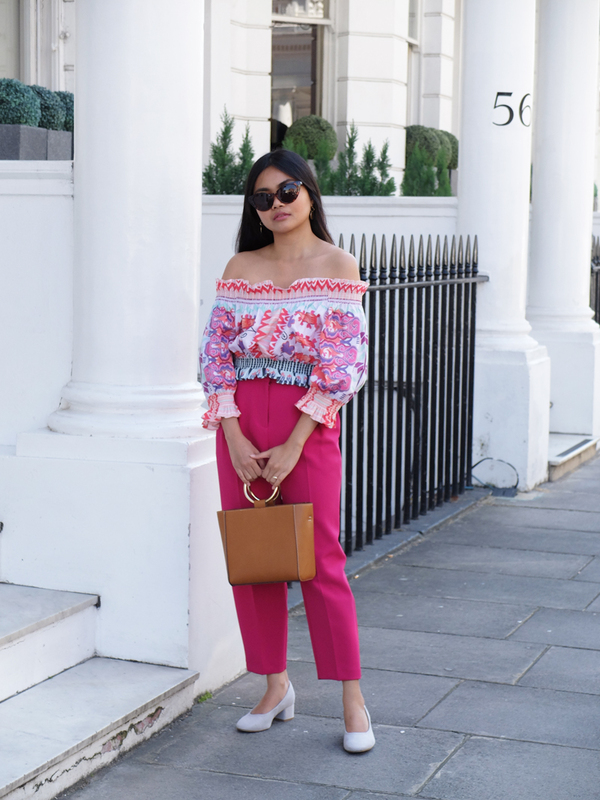 May it be sugary sweet fuchsia or of the moment Millennial pink, incorporating this bright hue just makes dressing up a little more fun. 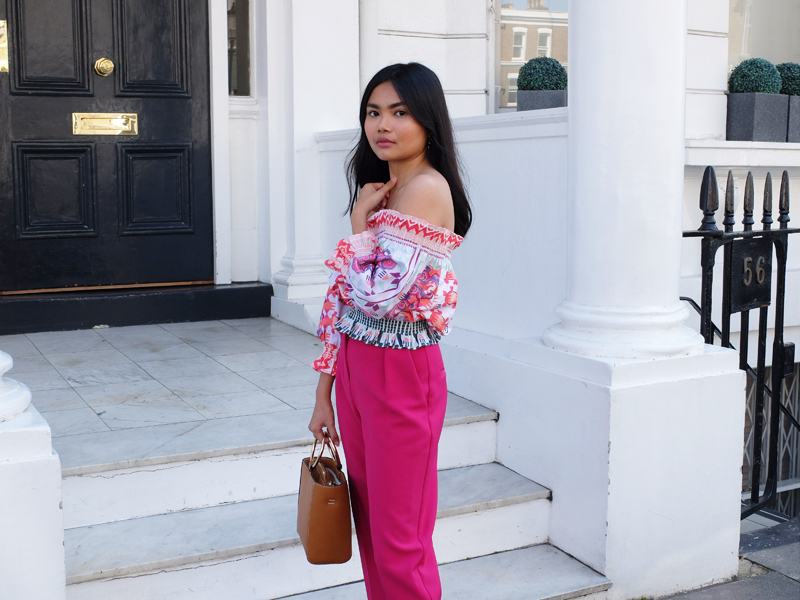 I'm not a girly girl but I do love me a nice pink outfit. I wore this tonal look a few months ago to celebrate my birthday. 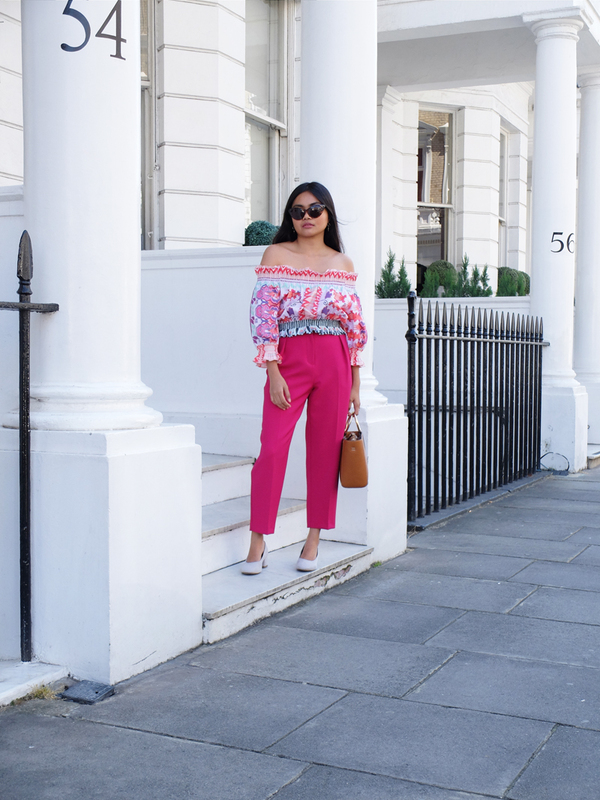 The peg trousers were from Topshop and I picked up this Temperley London printed off-shoulder top during their last Sample Sale.